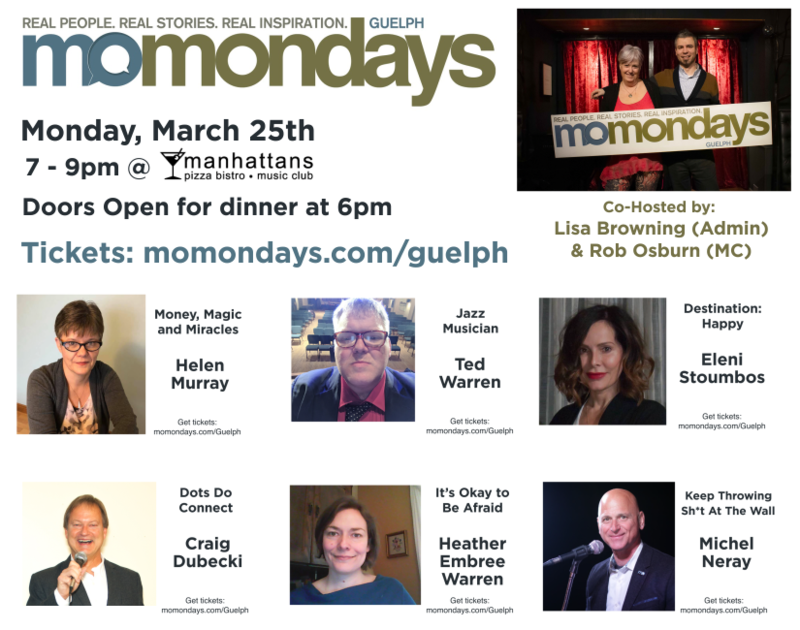 After a five-month hiatus, Lisa Browning and host Rob Osburn are thrilled to have brought momondays back to Guelph! Their first two shows were a huge success, despite the snow storms! Their March 25 show is looking awesome as well (see below for details)! Get your tickets now, before they’re gone!! 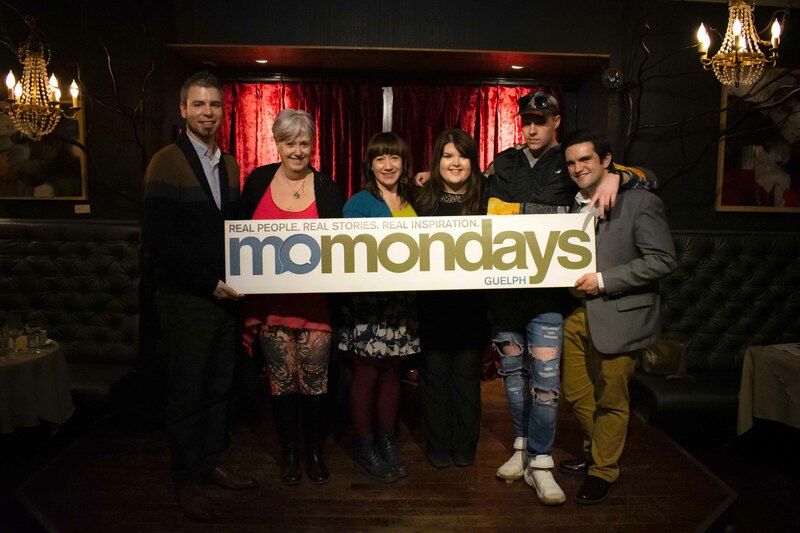 Attended a momondays Guelph show? 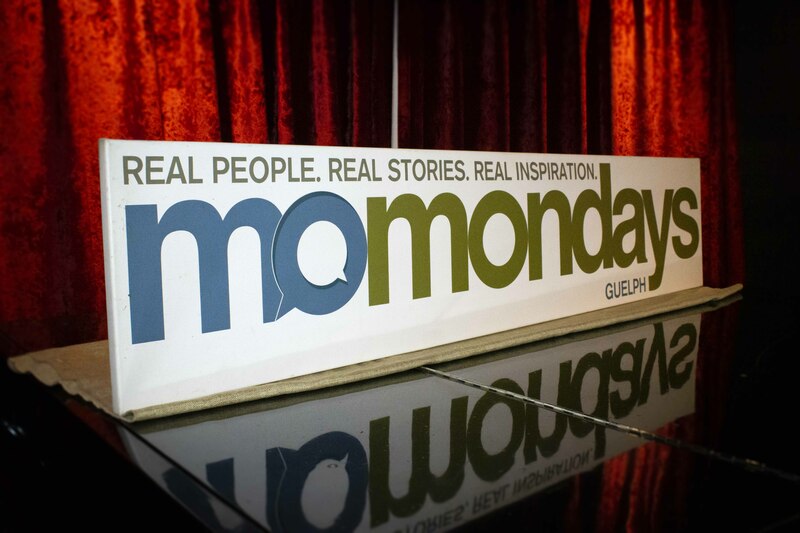 Want to speak at momondays Guelph? Post a blog about your momondays experience. 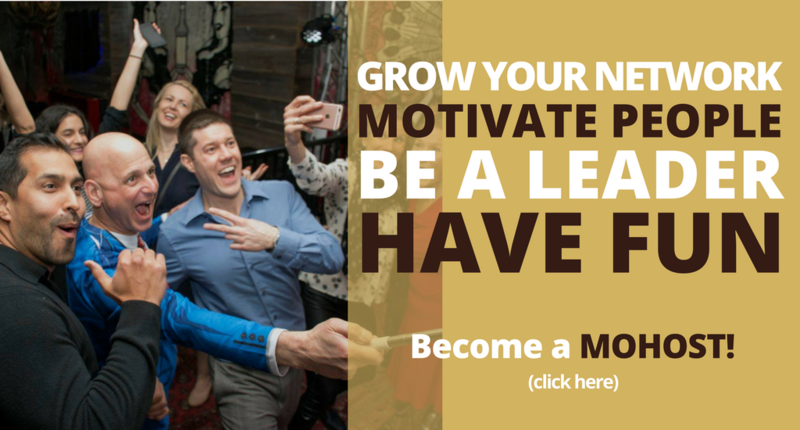 Want to keep up with all things momondays?